We are well into November now and the weather is getting colder. I am not someone who does well with Canadian winters and I sometimes wish I could hibernate until the spring. One of my favourite ways to avoid the cold is to stay indoors and knit or crochet. If you are a knitter, you probably know your local library is the best place to find great patterns and project ideas. Today, I’ve compiled some recent titles that offer unique projects to inspire you this winter. Have fun and stay warm! 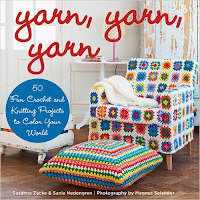 Yarn, Yarn, Yarn: 50 fun crochet and knitting projects to color your world, by Sania Hedengren and Susanna Zacke. This is a great book to read when looking for crafting inspiration. Yarn, Yarn, Yarn, offers a great variety of projects, including clothing and home décor. 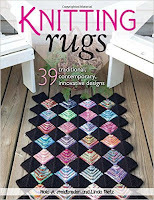 Knitting Rugs: 39 traditional contemporary,innovative designs by Nola Heidbreder and Linda Pietz. 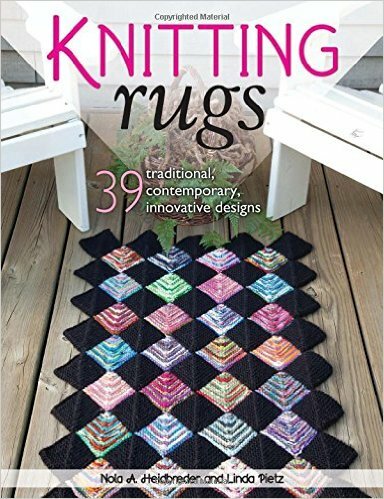 Personally, I’ve never considered knitting a rug until I saw this book. Knitting Rugs is filled with beautiful patterns that play with colour and texture. Also includes an entire chapter on making rugs from re-purposed materials, including old t-shirts. 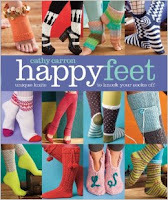 Happy Feet: unique knits to knock your socks off, by Cathy Carron. Knitting socks or slippers is the perfect winter activity and Happy Feet has over 40 different patterns to keep your feet warm. 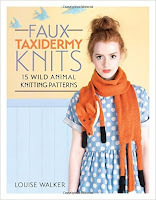 Faux Taxidermy Knits: 15 wild animal knitting patterns, by Louise Walker. Because you were looking for a way to knit a giant moose head for your living room. Also includes patterns for a knitted fox stole and hedgehog slippers. Knit It! : learn the basics and knit 22 beautiful projects, by Melissa Leapman. Don't know how to knit? No problem. This book teaches all of the knitting basics, while also offering some fun projects to try. Start with a scarf or cowl and work your way up to a jacket or pullover sweater.